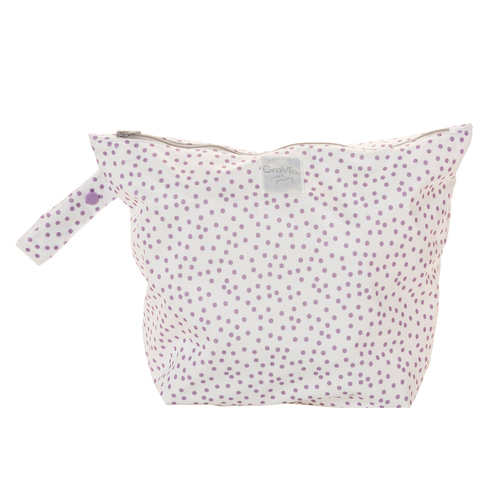 Keep your cloth diapers and accessories safe and secure with this portable wetbag with zippered closure and snap wrist strap. 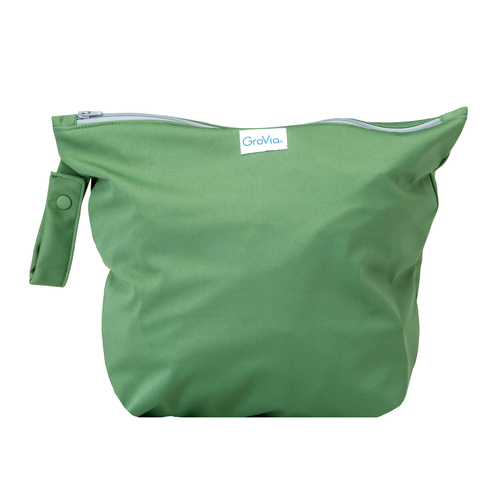 The GroVia Zippered Wetbag was designed to keep your diapers and accessories safe and secure while out and about. 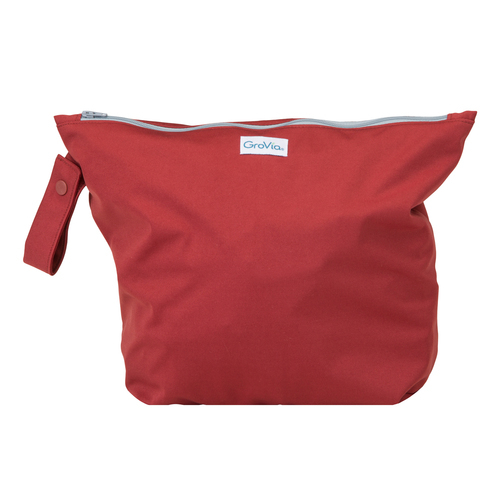 This functional design wet bag features a durable zipper closure and easily tucks in the diaper back or snaps onto your stroller. This bag is perfect for a daycare, travel, or even a trip to the beach! Zipper closure keeps everything safe and snug. Convenient handle with snap closure. 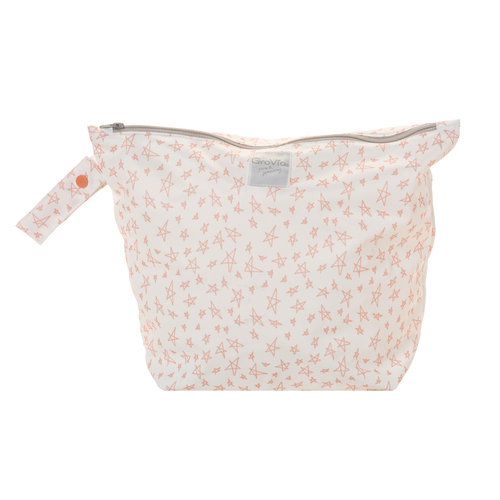 Holds 4 to 6 diapers. Constructed of water resistant TPU. 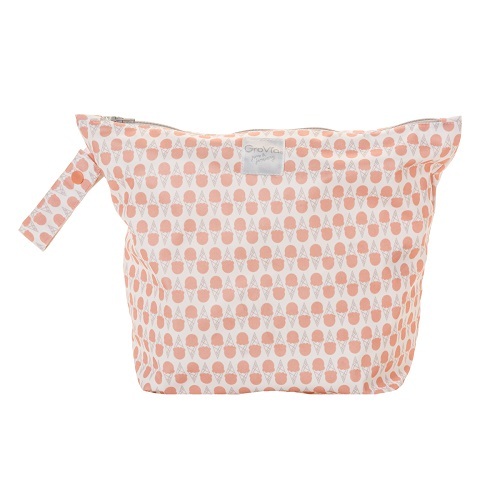 PRO TIP: Wet bags are great for storing small electronics when traveling. 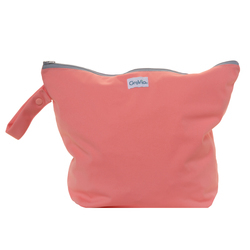 Keep your tablet or handheld gaming system safe from small spills and sticky hands! 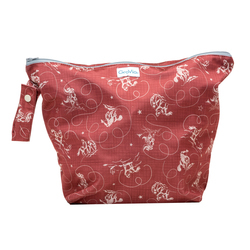 This is a great wet bag to keep in the diaper bag as they roll up really small and don't take up much space. They also hold a surprising amount for their size. 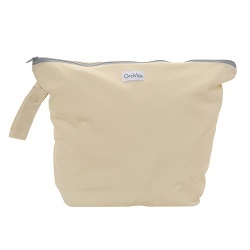 This little wet bag goes in my diaper bag with a couple pocket diapers, another wetbag for dirtys, wipes, and diaper cream. I love how it keeps everything contained for changes. I could fit 4 pockets in there if I needed to. These wetbags are the best! 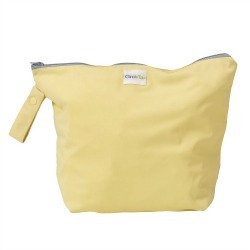 I can fit 3 to 4 soiled diapers in one, which is awesome when we are out and about! I love how you can use these bags for anything! And I mean anything! 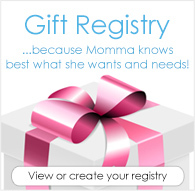 Very durable and last years. And they match our diapers ?? This is a fine wet bag. But for the same price I feel like my Medium Buttons wet bag is a little bigger and thicker/ better quality.